In 2001,South Australia was the first state in Australia to appoint a Minister for Volunteers. This appointment recognised the importance of volunteering to individuals, the community and to promote a civil society. 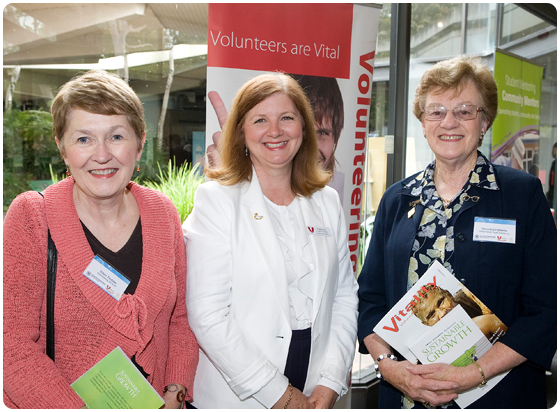 The International Year of Volunteers was also celebrated in 2001, and a journey commenced in South Australia to create a compact between the Government and the Volunteer Sector. The compact, “Advancing the Community Together” was subsequently signed by the Premier and 29 volunteer-involving organisations. In 2011, South Australia tabled a report of significant achievements to the United Nations to celebrate the 10th anniversary of International Year of Volunteers. That year also saw a re-commitment to the compact with the release of the revitalised “Advancing the Community Together” partnership. 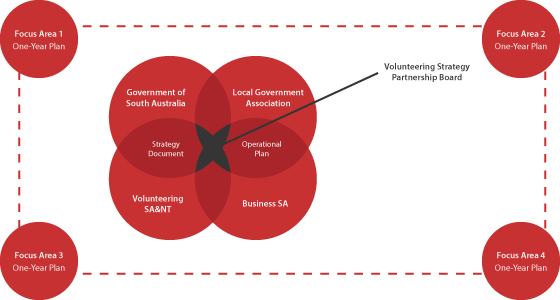 The Volunteering Strategy for South Australia is a continuation of this important journey of collaboration, for the benefit of volunteers, volunteer-involving organisations and the advancement of volunteering. We want to ensure that the number of volunteers continues to grow, even in the face of these changing community norms and our ageing population. We need to respond to these trends and embrace new opportunities, so that volunteering remains vibrant and strong. This volunteering strategy is the result of a collaboration between the Government of South Australia, Business SA, the Local Government Association of South Australia and the peak body Volunteering SA&NT. It provides a practical blueprint for action, which will bring real and lasting improvements to the volunteer experience for South Australians. This focus area will ensure that volunteers are welcomed and valued by society and are given the opportunity to develop according to their individual abilities, needs and aspirations. As interest in volunteering grows, volunteer involving organisations need to be supported to build their capacity to inclusively recruit, train and support volunteers. The aim is to deliver experiences that match the needs, aspirations and lifestyles of volunteers and higher standards of volunteer management. This focus area will raise the profile of volunteering in South Australia to ensure all facets of the community have a greater understanding of the benefits of volunteering, with the ultimate goal of facilitating greater participation. A key challenge is to create and strengthen more resilient communities by sourcing volunteers to meet demand. Where there are issues such as shortages of volunteers, marginalised groups being underrepresented or people from diverse backgrounds facing barriers to inclusion, it is vital that the benefits of volunteering are accessible to all volunteer-involving organisations. This builds community wellbeing and a robust civil society. Implement leading practice and high quality standards. This focus area will support an active infrastructure that is essential to inclusive and sustained volunteer involvement. Issues that impede volunteering need to be responded to and more effective policy interventions need to be initiated to support volunteering. Governments, business and volunteer involving organisations need to work together to ensure that regulatory requirements are as clear and uncomplicated as possible and that future policy decisions take into account any potential impact on volunteering. Investigate the transferability of criminal history record checks across organisations and jurisdictions. Progressively adapt through continuous improvement. The value of volunteering to individuals and communities needs to be recognised across South Australia. This focus area ensures the impact of volunteering on individuals, organisations and communities is measured consistently with the aim of continuous improvement and advocacy. There is a lack of information about the scale and impact of volunteering. This focus area generates and tests potential solutions to overcome barriers to volunteering and ensures the strategy remains focused on collaborative action and results.